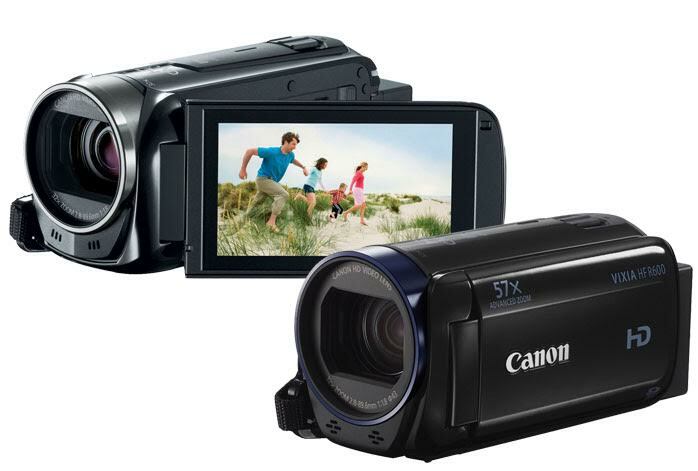 Are you confused in choosing between Canon Vixia HF R500 and Canon Vixia HF R600? Of course, you are not alone. A lot of people have also faced the same confusion due to the fact that Canon Vixia HF R500 and Canon Vixia HF R600 look very identical to each other. As a matter of fact, Canon Vixia HF R600 is actually an update for Canon Vixia HF R500. So, it is not a surprise that Canon Vixia HF R600 is currently being priced a little bit more expensively than Canon Vixia HF R500. Yet, is there any improvement from the older to the newer model? Which is the one that holds the fullest value for the money? Let’s find out below. They each is armed with a 3.28 MP CMOS sensor and the DIGIC DV 4 image processor with the built-in Super Range Optical Image Stabilizer. They can capture high-quality Full HD 1080p videos with an excellent frame rate of 60 fps. The image stabilization feature performs a great job in compensating any shake or vibration, even at high zoom levels. Both models can record in MP4 (up to 35 Mbps) and AVCHD Progressive (up to 28 Mbps). Despite the similarities, at the very least, Canon Vixia HF R600 does come with some minor additions. Compared to Canon Vixia HF R500, Canon Vixia HF R600 has a slightly better battery life. Both models still rely on the rechargeable 1840mAh lithium-ion battery packs to operate. Also, Canon Vixia HF R600 introduces the Cinema-Look filters to video recording, which actually can be nice sometimes. Canon Vixia HF R600 is basically identical to Canon Vixia HF R500; only it comes with the Cinema-Look filters and a slightly better battery life. Thus, if you simply want the fullest value for the money, you can choose Canon Vixia HF R500 and be fine!